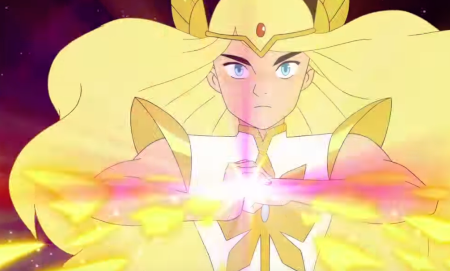 You are here: Home » GENRE » Fantasy » She-Ra and the Princesses of Power (season 2: trailer). The second season of She-Ra and the Princesses of Power arrives at Netflix on April 26th 2019. Adora is finally beginning to accept her destiny as the legendary warrior princess, She-Ra, and leader of the Princess Rebellion. But there is much to learn as the threat of the Horde grows and Catra sinks deeper into the world of evil. She-Ra and the Princesses of Power (trailer). « Marvel Agents of S.H.I.E.L.D new series (trailer).